Update: it’s been known that the site is Gower Cave. A cave in South Wales, whose exact location is being kept secret by the moment, may host Britain’s oldest rock art. 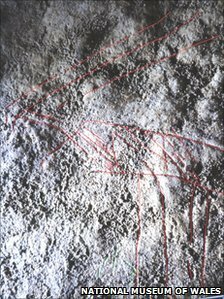 The discovery of faint engravings depicting reindeer by professor George Nash was accidental, as he took a relax moment after showing the cave to students. 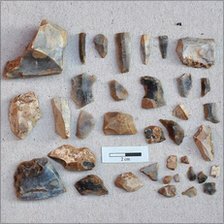 The unnamed cave is known for Late Magdalenian artifacts, dated c. 12-14 Ka ago.